The upcoming ‘Kunjiramayanam’ is to feature an interesting trio. 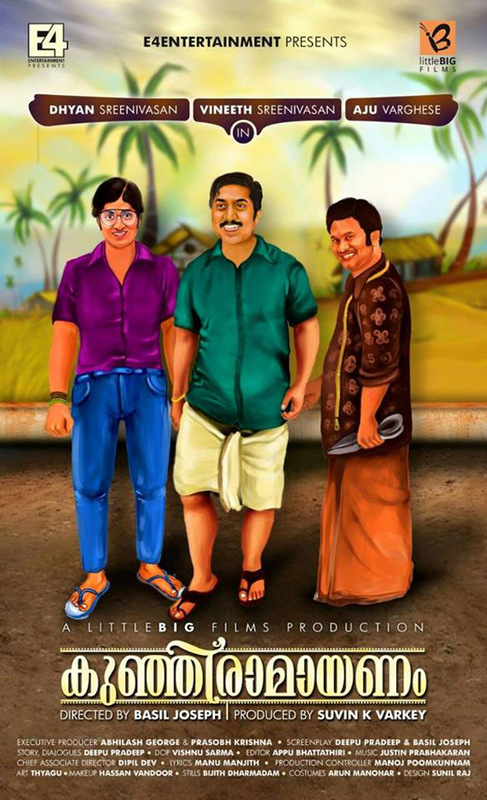 Dhyan Sreenivasan, Aju Varghese and Vineeth Sreenivasan would be playing the lead roles in this film. Basil Joseph is directing this flick. This is the first time that siblings Dhyan and Vineeth would be seen together in a film. Dhyan Sreenivasan started his acting career with ‘Thira’ that Vineeth Sreenivasan directed. This film featured veteran actress Shobana as the central character. With ‘Kunjiramayanam’, Basil Joseph would be making his debut in feature film. He has received acclaim for some short films like ‘Priyamvadha Katharayano’ and ‘Thundu Padam’. There had been news earlier about Vineeth Sreenivasan directing sequel of the film ‘Thira’ that would feature Shobana along with a famous young actor of Mollywood. But later, Vineeth confirmed that he does not have any plans for direction – at least in the near future. As the reports go, the next directorial venture of Vineeth Sreenivasan would be a total family entertainer. He would be starting the script from the month of June. Aju Varghese stepped into acting with ‘Malarvadi Arts Club’ – the first film that Vineeth directed. Aju and Vineeth Sreenivasan were seen together in the popular films ‘Oru Vadakkan Selfie’ and ‘Ormayundo Ee Mukham’.